Looking for a job in Garland County Arkansas? The following is a directory of Garland County Arkansas top employers with direct links to the jobs they offer. This directory includes local city job links as well as the larger job posting boards. Garland County's primary cities and towns are Hot Springs, Fountain Lake, Lonsdale, Mountain Pine, and Jessieville. Adjacent counties are Perry, Saline, Hot Spring, Montgomery, and Yell. Only sources that have job listing pages, business directories, and/or legitimate human resources contact listings are provided below. 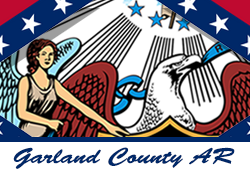 Garland County Arkansas periodically posts job announcements on their site. During this review there had been a posting for the position of Detention Deputy. Visit their site frequently for new listings. The City of Hot Springs is a good resource to monitor for ongoing opportunities. During review the following postings were found: Deputy Clerk I, Firefighter, and Construction Technician. Monitor the city frequently for new vacancies. You can also learn how to become a Police Officer by viewing the Hot Springs Police Department's Online Recruiting Center. The Greater Hot Springs Chamber of Commerce maintains a job bank for job seekers. Additionally you may want to explore the chamber's other links like their business directory if you are looking to identify local businesses in your industry that you may be interested in applying to. They also have a relocation guide. Note: Some of the largest employers include the CHI St. Vincent and Hot Springs School District. These employers are listed under the healthcare and education categories that are displayed lower on this page. CHI St. Vincent Hot Springs has more than 300 licensed beds, is a faith-based, not-for-profit organization serving the health care needs of Hot Springs and surrounding communities. Careers found included Registered Nurse RN Medical ICU, RN Med/Surg, Registered Nurse Medical Surgical, Patient Care Tech, Physical Therapist, Medical Technologist, Med Tech, APRN Cardiology, Emergency Nursing Jobs, Lab Assistant, Sonographer, Express Care Clinic LPN, Social Worker BSW, Certified Medical Assistant, Primary Care Licensed Practical Nurse, Nurse Practitioner, Security Officer, Transporter, and Radiation Therapist. National Park Medical Center is a 166-bed full-service hospital that provides a comprehensive range of medical services and high quality care. Open positions found on this review date included RN Outpatient Surgery, LPN Med Surg WEO Days, Front Desk Reception OB/GYN Clinic, Registered Nurse RN Surgery PACU Charge, Medical Technician (MT) PRN, Respiratory Therapist, CNA Med Surg Nights, ER Tech Days, EVS Tech (PRN), Cashier Star Bucks Counter / CSR (PRN), Student Radiological Tech (PRN), Cardiac Cath Lab Tech, Medical Assistant, EVS Tech Housekeeping (PRN), Pharmacist (PRN), ER Tech Nights, RN Emergency Room, Operating Room Technician, Cook, Operating Room Orderly, Mental Health Tech, Inpatient Coder, Pharmacy Tech (PRN), Radiological Tech (part time), RN Newborn Nursery Nights, and APN or PA Emergency Department (PRN). Levi Hospital is a local non-profit organization that provides physical rehabilitation to adult psychiatric care. Levi Hospital was hiring for the positions of Registered Nurse, Licensed Practical Nurse, and Housekeeper. First Step, Inc. is licensed through the Division of Developmental Disabilities Services (DDS) as a provider of Early Intervention Day Treatment (EIDT) and Adult Developmental Day Treatment (ADDT) services. First Step had a full-time Direct Care Staff positions available during this review. Other opportunities identified had included LPN- Intermediate Care, House Manager, Home & Community Based Services Coordinator, Speech Language Pathologist, and Autism Waiver Line Therapist- Jessieville. During review, Cutter Morning Star Public Schools had open positions for paraprofessionals, bus drivers, future classified positions, and future certified positions. Check for new listins. Fountain Lake School District hires licensed secondary and elementary teachers, for special education positions, and classified positions. Hot Springs School District had open positions available for Special Education Teacher, Gardner STEM Magnet School Elementary Teacher, HSWCHS EAST Facilitator, HSJA Library Media Specialist, HSWCHS Teacher, HSJA Teacher, HSIS Teacher, Gardner, Elementary School Teacher, and Bus Driver. Lakeside periodically hires for certifed positions such as Administrator, Classroom Teacher, Media Specialist, Speech Therapist, School Counselor, School Psychologist, Curriculum Program Specialist, Coach, Literacy Specialist, or ESL Teacher. Visit their website for classified openings, substitute teaching jobs, and bus driver opportunties. Arkansas Career Training Institute focuses on preparing the workforce to be job-ready. Arkansas Career Training Institute had open positions for Administrative Specialist, Vocational Rehabilitation Evaluator, Certified Vocational Rehabilitation Counselor, Skilled Tradesman (Carpenter), and more. National Park College hires part-time faculty, administrative and staff positions, and full-time faculty.